Jack Butala: Welcome to our show today. 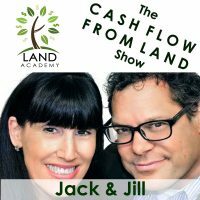 This episode Jill and I talk about back tax properties and the right way to use them. Before we get into it, let’s take a question posted by one of our members on a LandAcademy.com online community. It’s free. 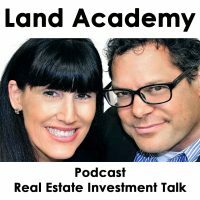 Jill DeWit: Land academy, soon to be land investor. Jack Butala: Well I think this campaign was successful. Jill DeWit: Mm-hmm (affirmative), I know and who knows what’s still coming in and when he wrote this. Jack Butala: Here’s the truth to that [inaudible 00:01:25] … I included this question because in the spirit of transparency. So, there’s a … you know, it takes about six weeks. Four to six weeks before you really find out what happens. While I’ve never heard of anyone completely getting stumped, the root of the real issues that I’ve heard when people struggle is with pricing. Jack Butala: It sounds to me like you’ve had four signed offers and … you know I really wonder how you’re checking access. Jack Butala: Because there’s access and then there’s access. Jill DeWit: Exactly, that’s true. If it’s not paved right up to it does it mean there’s no access? Jack Butala: Exactly. So, you know, I really wonder. Jason maybe you can reach out to some of us or reach out in success plan, maybe more so than you have here and really review how you’re looking at access because I’d had to see you throw away four good deals. Jill DeWit: My other thought is are you missing some calls? I don’t know your story, I don’t know if you’re getting … If people are trying to reach out to you and you’re missing them somehow because usually you should have more … You should have some not nice phone calls and you know, if you did it right you’re gonna have some not nice phone calls and you’re gonna have some where do I sign phone calls. Like how fast can we do those phone calls? Jill DeWit: So I wonder how many of those you’re missing. Jack Butala: Yeah, answer the phone you mean? Jill DeWit: That could be. Jack Butala: So, if six weeks is the answer to your question, but you know if you listen to this show at all, Jill and I talk about receiving offers daily. We daily receive offers back from properties that we’ve mailed in 2004. Jack Butala: So, it never ends. Jill DeWit: And then also, I have some things too. Did you … I mean is your mailer … I’ve seen some people and heard some people modify the mailer and make it a little too generic and a little too hey call me or a little too you know, not exactly sticking to what we’ve tested … And that will make a difference. Jill DeWit: [inaudible 00:03:16]. So many variables it’s really hard to say without like, seeing it and getting more. Jack Butala: My whole point is I don’t think you … I think this is a success. Jill DeWit: Exactly. You’ve got … Okay so a 20 reply … Well you know what? He had four sign, 20 responses. So now he realized too. So he’s had 16 phone calls. Jill DeWit: I’m guessing. So that’s good too. And all those 16 phone calls, what’s there? In those? I have some questions. So does it sound like it’s a … It doesn’t sound like a failure Jason. It sounds like hang in there. Jack Butala: Not all of us have a Jill magic wand where we can turn angry people into sellers. Jill DeWit: Thank you. Well you know what? We laugh about it too but it’s true because we’ve … you know what some of our members that do a lot of deals, you know like Luke, you know? We’ve all done it wrong and then still got something out of it. Jack Butala: That was a compliment Jill. Jill DeWit: Thank you, I appreciate that. Jack Butala: If you have a question or you want to be in the show, reach out to either one of us on LandAcademy.com. Today’s topic … This is the meat of the show. Which Jill wrote by the way. Back tax properties and the right way to use them. Jill DeWit: Do you know why I did this? Jack Butala: No I would love to hear it. Jill DeWit: Back tax property discussions … are quickly becoming a driving for dollars issue for me. Jack Butala: Oh, here we go. Jack Butala: Oh I want to hear this. Jill DeWit: … is the whole reason why I wanted to talk with you about this Jack. Jill DeWit: And share this with the universe. Jack Butala: Is this gonna be one of those times where you get a little angry? Because I like that. Jill DeWit: I’m already angry, can you tell? Why are we hitting our heads against the wall trying to come up with something out of garbage. Jack Butala: Can I get a little background before you get super angry? Jack Butala: Your angle, it will mean more. Jill DeWit: Okay good. Yes, add. Jack Butala: In the universe of all the property owners in the county, there are finite number of property owners. Let’s say it’s 20,000 people … 10,000 people let’s say. Some of them stop paying their taxes. I don’t care if they own an apartment building, a house, or a piece a land, which we’re interested in. To do this, you have to not have a mortgage on it because if you do have a mortgage on it, the mortgage company escrows the taxes for you and pays them on your behalf. So, we’re talking about people who … So that’s generally 50% of the people. 50 to 70% of the people do not have a mortgage with land. Land and houses and all of it. So for whatever reason … I have a lot of ideas about this. Some people stop paying their taxes. Sometimes they die or whatever … And a lot of people in our industry, not just land people, a lot of people in our industry choose to target them as a preferred acquisition candidate because they’re quote unquote, air quotes with my fingers, “showing the signs of distress.” This is what upsets my friend Jill here. Jack Butala: There’s the background, go for it. Jill DeWit: It is a sign of distress if there’s a problem in the transaction … And do you really want to do that? That’s my whole thing. Jack Butala: Do you want to do a distressed real estate deal? Jill DeWit: Do you really want to … When you, like you just gave your 10,000 number. When we release it and take your 10,000 number, now we’re down to 50%. Let’s just make it really easy. Jack Butala: Jill you crack me up. Jack Butala: You get so mad about this. I love it. Jack Butala: I think you’re picking on these poor people too. That’s the part that I have it. Not you. Jack Butala: You send people mail that have back taxes on it. It’s just you’re picking on them. Let’s think about this, because if there are, you know, how many of you out there sending those same 500 people letters over and over again, that’s great … Because you know what? I’m over here by myself sending offers to the 4,500 people that don’t … That aren’t behind on back taxes and they’re like you know what? I do want to sell. Ah, thank goodness. I didn’t know what I was gonna do with it. I wasn’t sure how I was gonna list it. You know the kids don’t want it, we’re not gonna retire there. You know, whatever it is. Jack Butala: Price doesn’t really matter, I just kind of want to just get rid of it. Jill DeWit: Yeah, I’m done. Jack Butala: I’m gonna stop thinking about it. Jill DeWit: We’re 90 now, I don’t really care, you know? Yeah, I want to go to a good home kind of thing … And that’s the reality. So, that’s the whole thing about back tax properties. That’s number one. Now, is there a way to use them in sourcing a county or sourcing a market? Yes. So that’s what I wanted you to add please Jack. Back tax properties in the right. So that’s the wrong way to use them by the way. Just like oh lets just all hit them. Okay you go right ahead I’m over here making a lot of money and that’s okay. Jack Butala: Oh yeah, I do remember that. It doesn’t work. Jill DeWit: … good, serious, spent months on this test. Jack Butala: Yeah it doesn’t work. Jill DeWit: I did 10,000 offers here and I did 10,000 offers there and oh my gosh, the junk that I got. The extra work, the extra expense. They ended up not being worth as much in the end. Jill DeWit: I mean he’s like I had 18 things [inaudible 00:09:30] that he had to test it and see it for himself. And I’m like, thank you for doing that. You saved a lot of people. Jack Butala: Here’s the truth about back tax mailings. They … You will get a lot of response. People do back tax mailers. There’s other people in this industry that teach this. That’s all they teach. You only need to send people offers who have back taxes on their property. That’s what they teach. That’s not what we do at all. Jack Butala: Like Jill said, we send it to everybody. And because it works. You get a response and what you get is a huge amount of work that never pays off. Jack Butala: You get a distressed property situation that maybe the … Somebody the parents side, the kids don’t know how to get the property in their name. Now you’re just in the business of solving another problem so that you can get a cheap piece of property, that’s not what you want. You want to be the data business. Jack Butala: You want to understand data and how to get offers in front of owners and buy their property inexpensively because they want to sell it to you. Not because you’re selling it on some crazy thing or there’s a distress situation or you got to solve some huge legal problems for them. You’re looking for a situation, it’s pretty simple. Jill DeWit: Mm-hmm (affirmative), that’s right. Jack Butala: I’m tired of it too Jill, honestly. I mean I’m not … I don’t get angry about it, I laugh about it but I laugh at you because you get angry, a little bit. Jack Butala: But I am tired of answering the question. Jill DeWit: I hate to see people wasting time and money. Jack Butala: Yeah- [crosstalk 00:10:46]. Jill DeWit: Because they got bad information. Jack Butala: They got bad advice. Jack Butala: That’s what I don’t like. Jill DeWit: … and the reality is, like Jack was saying. What you want to do is send an offer to … Well so, let me back up and I’ll let Jack explain this in a second. There is a way to use that as a gauge when you’re picking a county and Jack can expand on that in just a second but, the bigger issue is now you’ve picked a county, you’re sending out offers. Send them to everybody that meets your criteria. No mortgage everyone. Now, on whether they’re behind or not on their taxes you’ll flush that out when you get your signed offers back and I tell you, most of the time you’re gonna pass on those because you have ten good ones that are right there, easy to close. Everybody wants to sell and then you realize why was I even bothering with that? Jill DeWit: You know, I don’t need to do that. Jack Butala: Well that’s what your guy said. Jack Butala: That’s what the guy on Facebook said. Jack Butala: Just stop horsing around with it. Jill DeWit: Yeah, push those aside. If there’s something really fantastic you want to circle back around and you know how to deal with that situation, great, do it. But take the easy ones you know, first. Everybody, you know? So, do you want to explain in … Just two minutes Jack, kind of? Jack Butala: Yeah sure, I mean there is a useful way and we’re putting a whole website together dedicated to this. There’s a very good, useful way to use the statistics that surround back tax property. To choose where to mail a county where you were gonna mail everybody. So it’s … If you go to websites or there’s certain places on the internet and soon to be a website we’re releasing is called County Wise, County Wise. And you go to the county and you see okay, alright, there’s 4,000 back tax properties in this county. That’s a good indication to me that I want to take a further look at sending everyone an offer in that county. There are some places in the country where there’s absolutely no back tax property at all, ever, for some reason. States like Vermont and New Hampshire, they have one or two back tax properties a year. States like Utah and northern Utah for some reason there’s no back tax properties or it’s not getting reported or filed correctly or whatever. So, those are counties in my experience where you mail everybody an offer in the county. You don’t have as good of a response as you do with maybe one or two or 3,000 back tax properties. So it’s a great gauge to … It’s a great statistic to use that’s free and easy to get to make a decision about where to send everyone offers. Jill DeWit: And that is why I said the right way to use them. Thank you, no I mean that. So, awesome. Jill DeWit: We use it every day to get heated about bad stuff, just kidding … And buy a property for half of what it’s worth and sell it immediately. Jack Butala: You are not alone … And you’re real estate ambition. You crack me up. Jack Butala: Oh I know, I do know you. That’s why it’s so funny. There’s a few things that really miff you. Jill DeWit: I’m gonna walk around and help everybody. I told somebody this the other day. I’m like, you know this is how Jack and I roll. If you ask me a question, I’m gonna answer. I’m not gonna say that’s for the whatever level, you know? And this is one of those things that, I’m trying to help everybody and save them some time and money and energy. Jack Butala: I just got off of a call with a guy. A consulting call, you know, deal review, data review call … And he just thanked us 16 different ways. This guys been a … He’s ingrained in the real world live auction real estate business. Jack Butala: Yeah, in the south, the deep south. Jill DeWit: Dude, I want to go see him and do that. Jack Butala: Yeah, and so he started … He got a program in may, actually … And he said he’s been talking to everybody and if anybody he didn’t mention our names but he said, “does anybody know about this? Do you guys know about some of these people offers?” Every single person said no, these old school guys. Jack Butala: So, he’s gonna … He’s connected. Jack Butala: His A-list is done, that’s what I told him. His buyer A-list, complete. Jack Butala: All he has to do is just price it and get it out there. He’s like “yeah, I know.” He’s jumping up and down on the phone. Jill DeWit: That is, that is awesome. Yup.